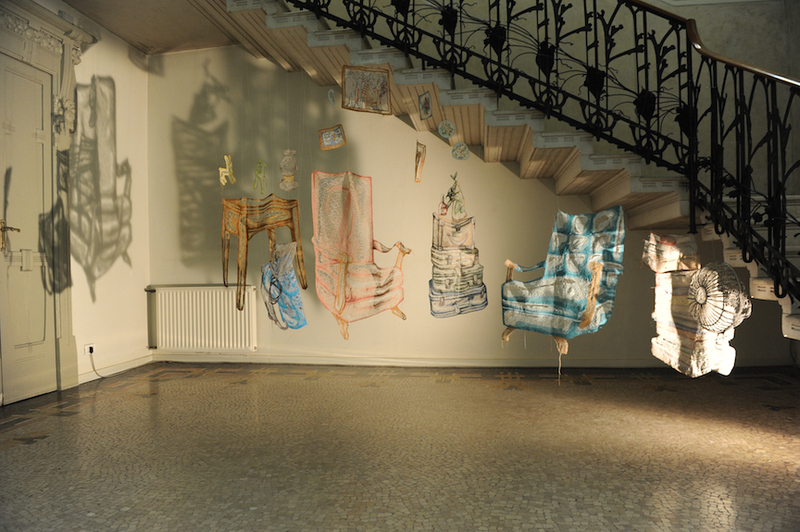 My newest room installation is included in this year’s Miniartextil Exhibition in Como Italy. The exhibition is curated by Prof. Luciano Caramel. Now in it’s 25th year, this exhibition brings together textile artists from Japan, Spain, France, Argentina, United States, Uruguay, Finland, Czech Republic, Scotland, Norway, United Kingdom, Ireland, Switzerland, Holland, Mexico, Sweden, Israel, Poland, Denmark, Canada, Slovenia, Hungary, Austria and China.